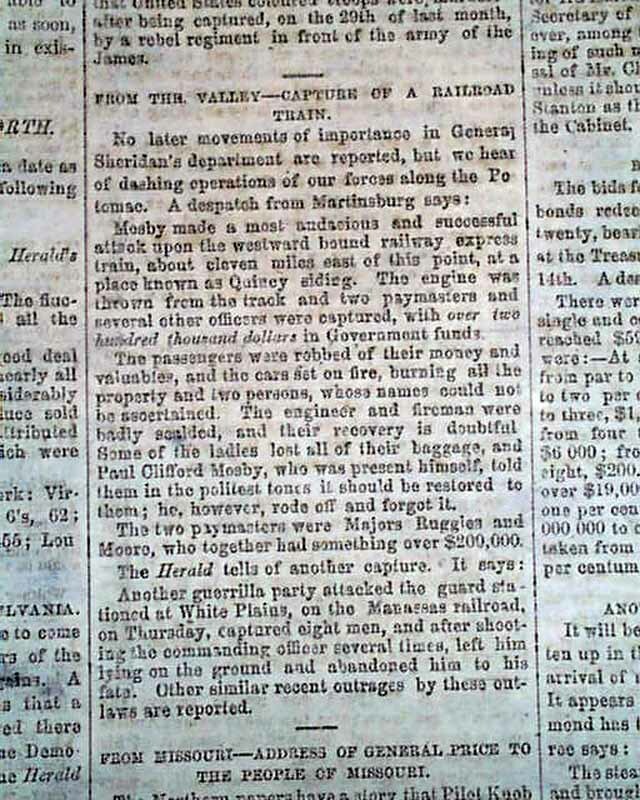 This is an account of Mosby's famous "Greenback Raid" during which he derailed a train and robbed the paymaster's box of $173,000. 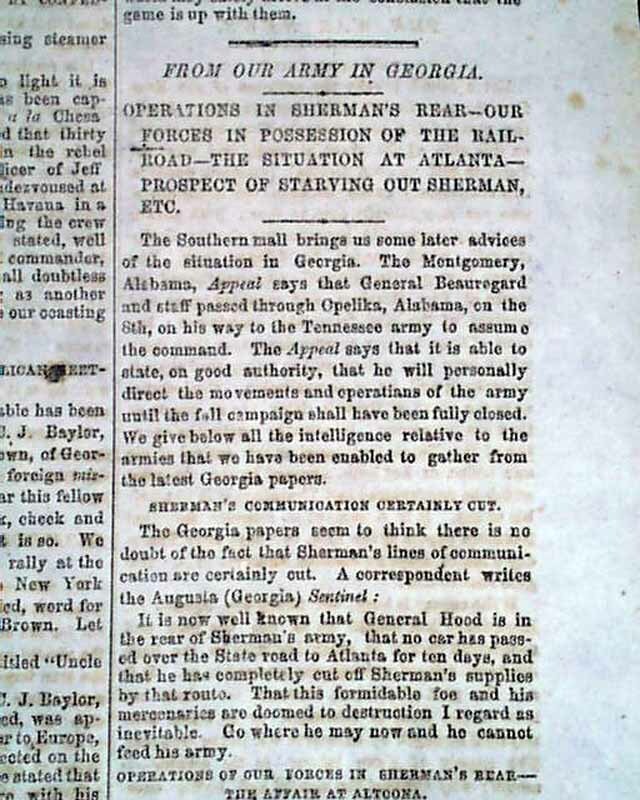 This successful Confederate attack on a major transportation artery of the Yankee forces did much to boost morale in the Confederacy during the closing months of the Civil War, and also was the exploit for which John Mosby would be forever known. 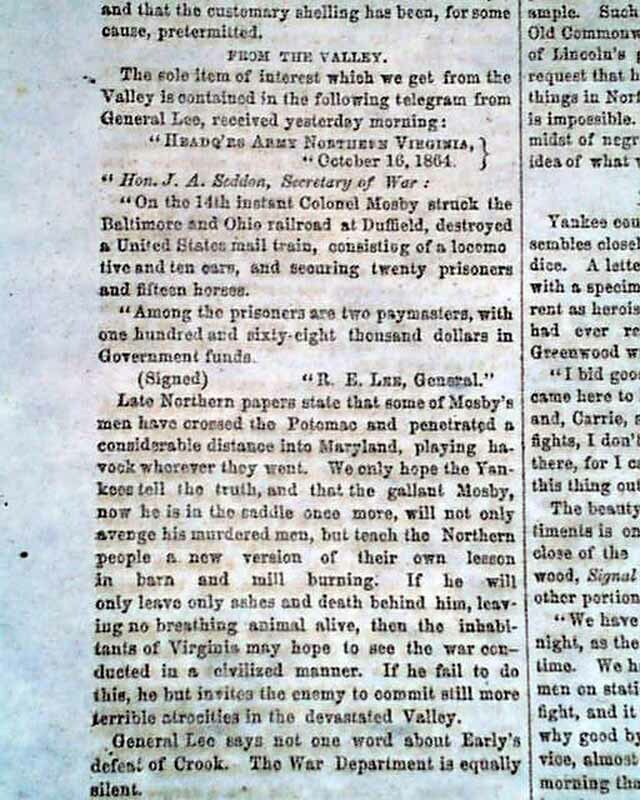 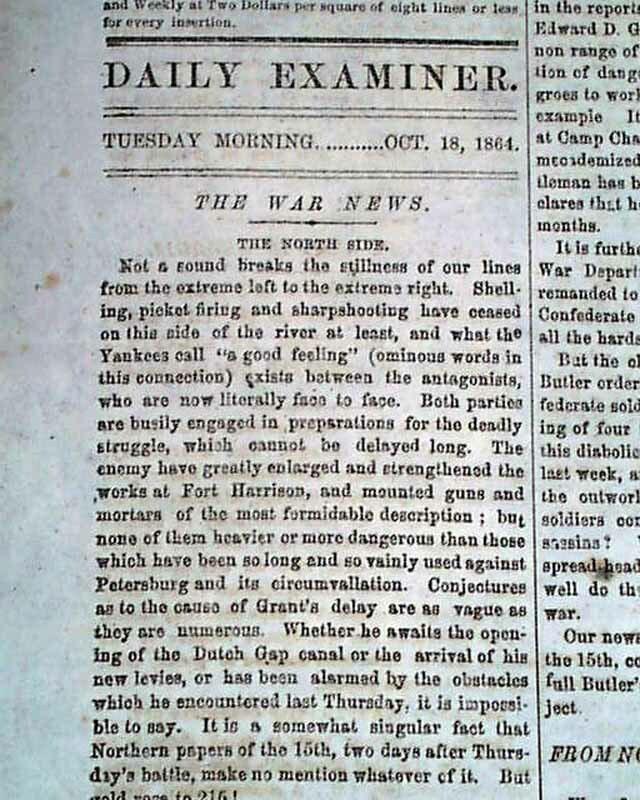 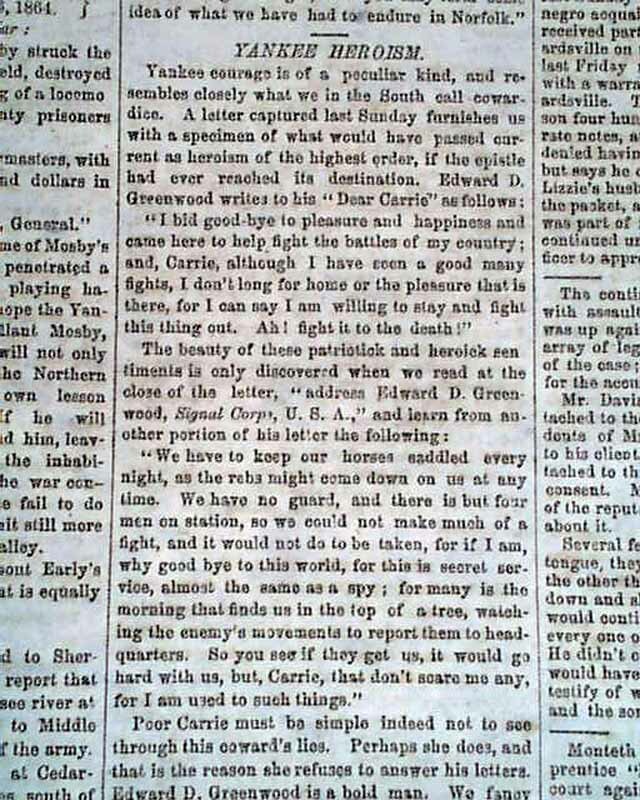 Many other reports on the Civil War but they pale in comparison to the noted content. 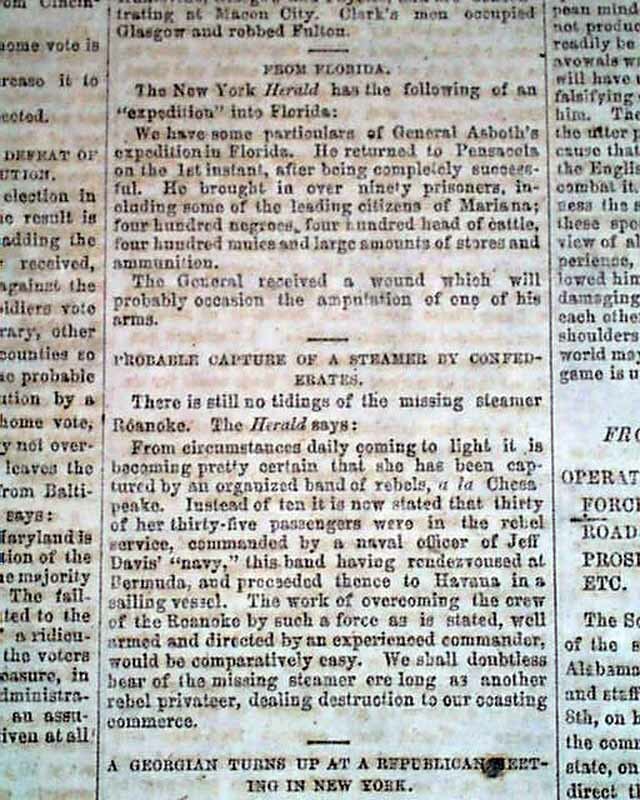 The back page does have a lengthy & very nice editorial speculating the success of Abraham Lincoln in the upcoming election (see for the beginning). 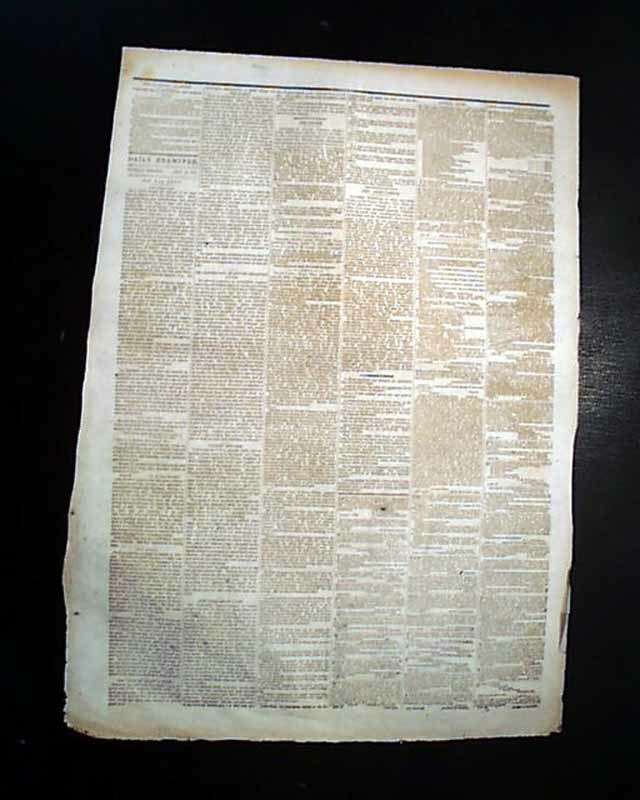 Complete as a single sheet newspaper, folio size, with a one column masthead (typical during the later months of the Confederacy), never-trimmed margins, very nice condition.